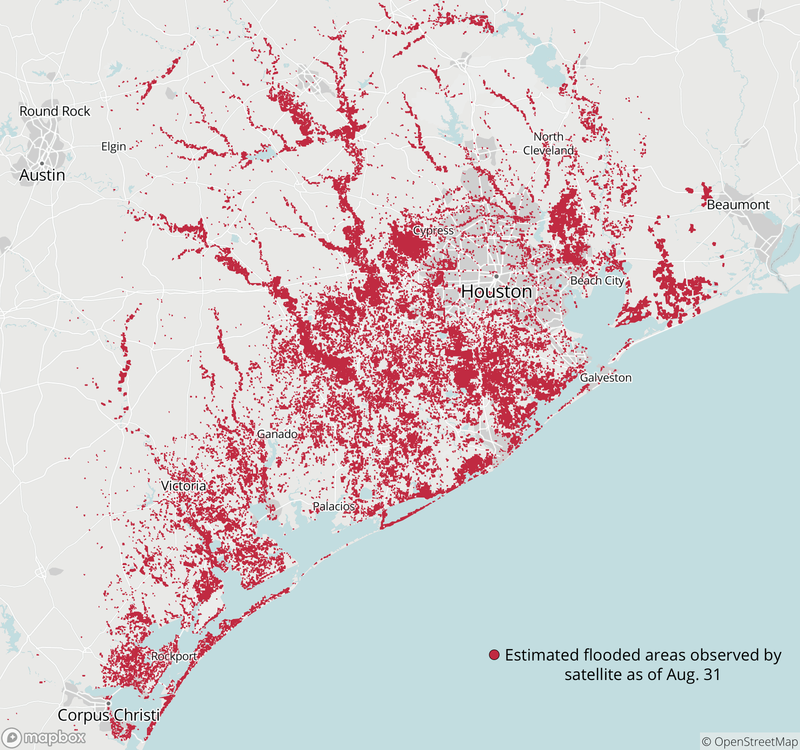 Alongside thousands of Texas homes and businesses impacted by Hurricane Harvey, floodwaters also damaged hundreds of roads and highways across the region. Prolonged flooding can wash out bridges, knock down traffic signals and signs and cause asphalt to buckle. Last week, the federal government directed $25 million to the Texas Department of Transportation to help the agency begin repairing the region’s vast transportation system. But that funding won’t last very long, said TxDOT Deputy Executive Director Marc Williams. “The size and the duration of this storm is beyond anything we've ever experienced in this state,” he said. As of Friday, more than 290 roads were closed in the areas affected by Harvey. TxDOT spokesman Bob Kaufman said the agency was making repairs where they could get in. But conditions needed to get better before they can fully begin the recovery process. 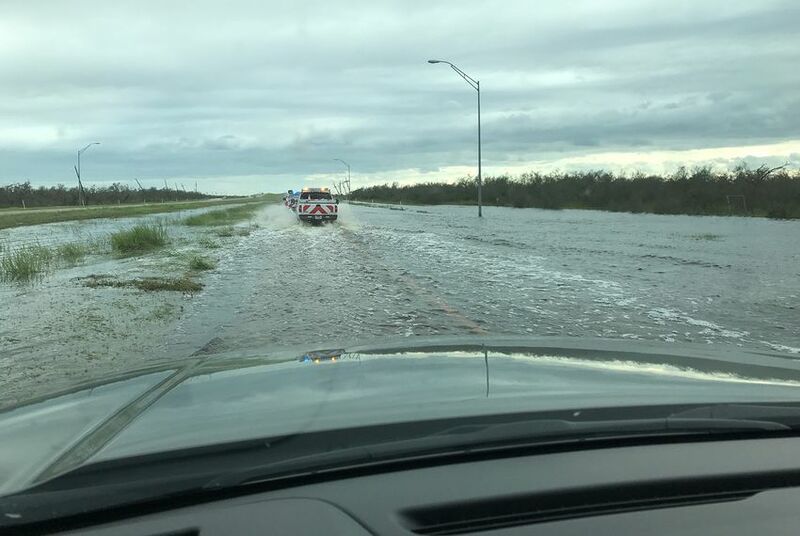 “While roads are underwater, all we can do is put up barricades and redirect traffic, for the most part,” Williams said. More than 2,400 TxDOT employees are currently addressing the damage from Hurricane Harvey. The department is still assessing the disaster, so they’re unsure of how long recovery will take and the total cost. Texans in Congress are already in the middle of talks to vote on a federal aid package for Harvey recovery efforts later this month. On Friday, Gov. Greg Abbott said state lawmakers have "smartly kept a lot of money" in the Rainy Day Fund, the state's savings account. The fund, which is largely made up of tax revenue on oil and gas production, was projected to have a balance of $10.3 billion at the end of August, according to a recent estimate from the Texas Comptroller's Office. But Abbott confirmed he didn’t plan to call a special session for Harvey relief, meaning lawmakers are unlikely to use much of that fund until 2019. Hurricane Ike was the last major hurricane to hit Texas in 2008. According to a report issued by TxDOT in 2012, the final cost to repair roads and highways after Ike was over $150 million. State crews managed to clear roads four days after Ike. Hurricane Harvey lingered in Texas for nearly a week, resulting in record-breaking rainfall and extensive flooding. The longer duration of Hurricane Harvey is expected to have caused more damage to the state's transportation system than Ike. “I think we're safe to say that it's going to exceed the $25 million,” Williams said.